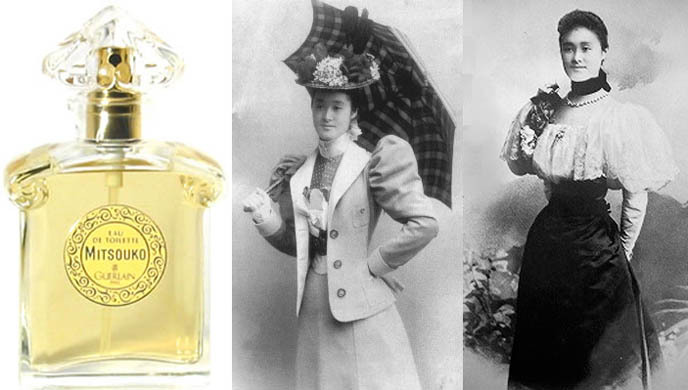 MITSUKO COUDENHOVE-KALERGI: JAPANESE AUSTRIAN COUNTESS, MUSE OF GUERLAIN. In the days of Queen Victoria, there lived a dashing young Count named Heinrich Coudenhove-Kalergi. He belonged to an ancient Habsburg noble line that had several castles and estates in Austria. A diplomat and brilliant linguist, Count Coudenhove-Kalergi spoke 18 languages and was posted to Athens, Rio de Janeiro, Constantinople, and Buenos Aires. In 1891, the Count was named Deputy Minister of Austria-Hungary to Japan. He often visited a curios shop owned by a samurai family. One fateful day, his horse slipped on ice and he fell. Mitsuko Aoyama, the owner’s teenage daughter, ran to his aid and made a lasting impression on the 32-year-old bachelor. The Count convinced Mitsuko’s father to let her work as a parlor maid at his legation. Faster than you can say ‘kawaii’, the two fell in love and the Count asked Mitsuko’s father for her hand in marriage. He flatly refused, but the couple defied him and married anyway in 1892. 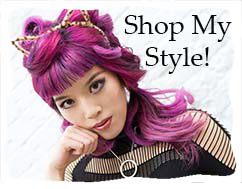 As a result, 18-year-old Mitsuko was disinherited and forever banned from her father’s house. She took these words to heart – the fact that the charming and witty Count returned to Vienna with a wife, much less a Japanese one, was greeted with dismay by the young ladies of the court. Ignoring the xenophobia, Mitsuko threw herself into the study of German, French, mathematics, history, and geography. She gave birth to five more children. When her husband died in 1906, the 33-year-old mother taught herself law and economics to manage the family estate with which she was entrusted. To provide her children with the best opportunities, she stayed in Vienna until her death in 1941. All of her children were well-educated and spoke multiple languages; her second son, Richard Nikolaus, became the founder of the ‘Pan-Europa’ movement after WWI. 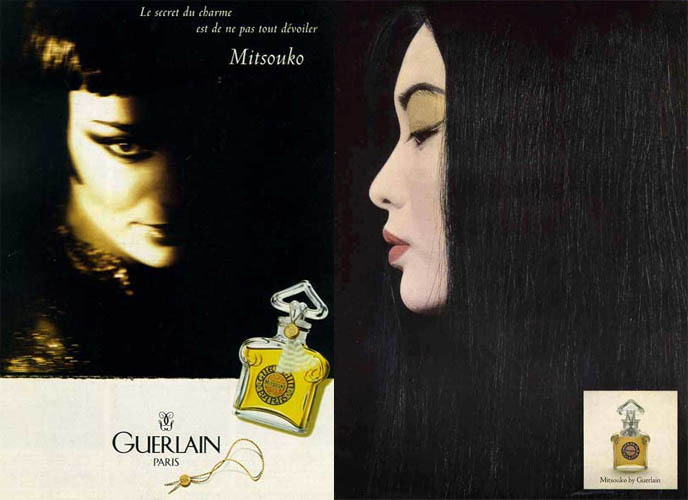 The spunky Japanese-Austrian Countess inspired Jacques Guerlain to create a perfume called ‘Mitsouko’. Like its namesake, ‘It does not reveal its beauty all at once, nor does it allow one to treat it casually. It starts out aloof and cool, before revealing its intense and sensual side.’ The chypre and peach-infused scent debuted in 1919 and is still sold today. My Fashion Blogger Apartment Tour! Mid-Century modern minimalist home decor, furniture, interior design. Tokyo’s Buddhist cat temples, Gotokuji & Imado! 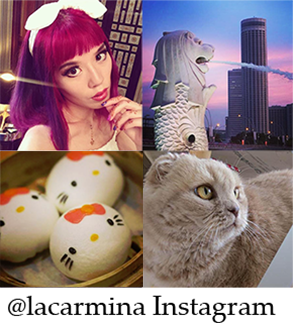 How to visit the Japanese Maneki neko cats shrines. Thats the coolest life story! She's very beautiful and so are her clothes. Thats the coolest life story! She’s very beautiful and so are her clothes. Wow! That sure is inspiring! I know – she's a pioneer! 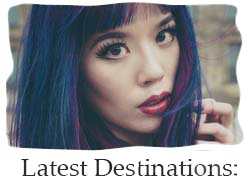 Mitsuko is possibly the the first Japanese woman to marry a Westerner. I know – she’s a pioneer! Mitsuko is possibly the the first Japanese woman to marry a Westerner. aw…independent woman!!! really like she! I read her story from the history book and the internet. And i also have the comic book about her. She was a great lady. I really like her story a lot. Wow, I had no idea there was a comic book about her! Who made it?